The Vanguard Alta CA 234AP tripod kit is designed to meet the requirements of any enthusiast photographer, especially those wanting a great combination of portability and stability with a pan head. 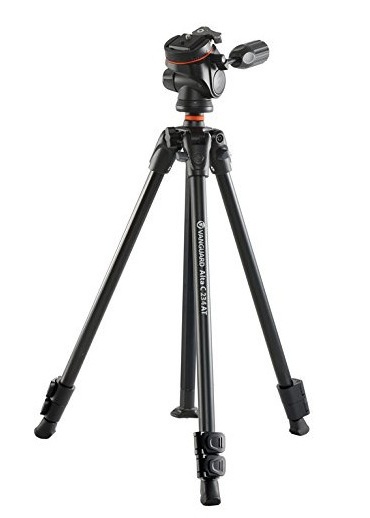 This aluminium tripod kit is extremely lightweight at under 1.6kg and the legs have four sections that enable it to fold down to just over 55cm, making it extremely portable. Despite this it still features an unrivalled loading capacity of 5kg and extends to just below 1.6m making it extremely versatile. The 23mm legs can be adjusted individually to 4 different angles (20°, 40°, 60°, and 80°) to cope with any uneven terrain and low angle shooting. The Quick-Flip leg locks allow you to reposition the tripod in seconds, making sure you never miss a shot. The angled rubber feet offer good grip to provide a secure base. 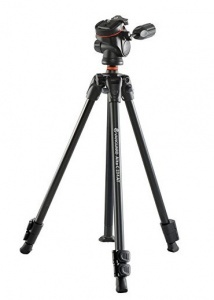 In all this tripod offers a great blend of portability and stability. The magnesium alloy canopy includes an anti-shock ring which will prevent accidental damage to your camera, for example, caused by vibration in transport or the canopy collapsing while in use. It also includes a hook at the base of the canopy where you can hang extra weight to give the tripod greater stability. The Vanguard Alta CA 234AP tripod comes with a strong, but lightweight magnesium alloy PH-33 pan head which features an ergonomic handle along with the flexibility of movement makes targeting the camera fast and easy.